IF YOU WISH TO HELP JUST CONTACT US here. A NEW LOCAL PLAN FACEBOOK GROUP is here. 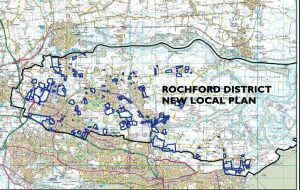 As many residents will already know Rochford District Council is about to launch a public consultation on a SECOND Local Plan for 2017 to 2037 focusing on a maximum of ANOTHER 7500 dwellings. With the FIRST local Plan 2011 to 2025 came committed approval for 2785 dwellings so together this makes over 10,000 !! The information on the land available is publicly available on these maps (https://goo.gl/grJe3A). And there is even more information here (https://goo.gl/JNVBhv). NO DECISIONS HAVE BEEN MADE. YOUR VIEW IN THE PUBLIC CONSULTATION COMING SOON WILL COUNT. 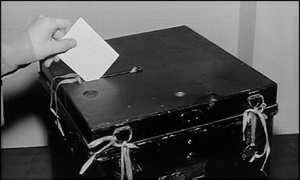 So what will your District Councillors be doing? I can’t speak for other political groups on the Council but I can say what The Rochford District Residents and Green Group propose. We will leaflet all homes our Wards drawing attention to the questions and options put forward by the Council and how residents can comment on the Evidence put forward. I shall also be asking our Councillors to work with residents to create a sustainability profile for the sites that landowners have put forward in their Wards and submit these in the Public Consultation. How? Our approach is attached. We will welcome all other political groups, action groups and residents’ associations/community groups if they decide to join in this way.